Life Goals - Sugar, Darling? In all honesty I've never really set myself a list of life goals, but I'm pretty sure that if I had 'bring on a magazine cover' should have been one! 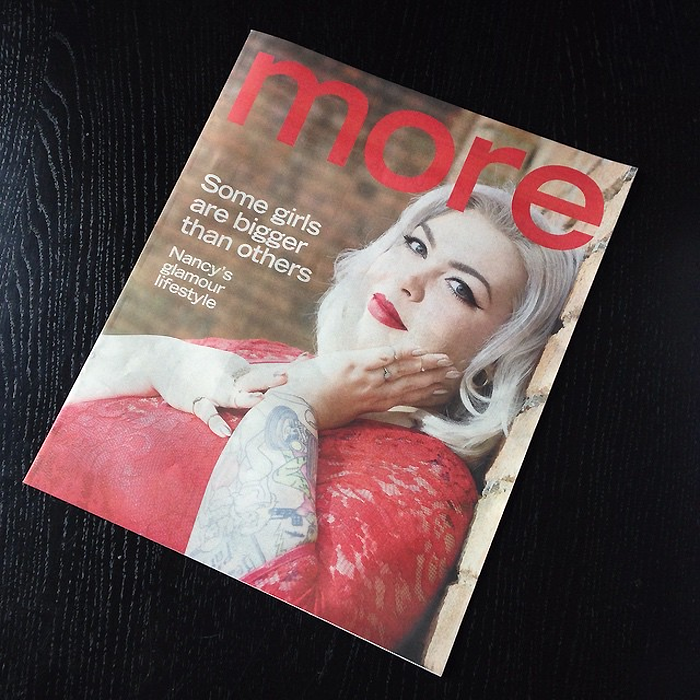 Well thanks to the ever so lovely more magazine team this dream has come true as you can see above! 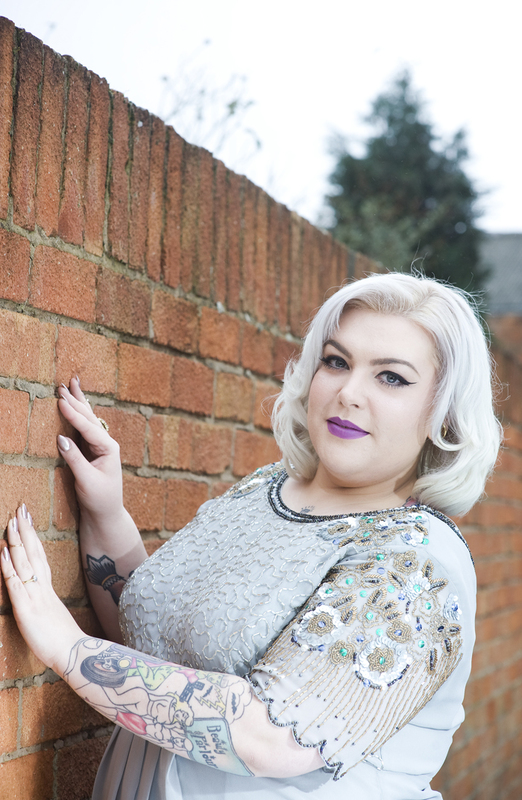 Not only did I have the honour of gracing the cover of the magazine but the truly wonderful Gemma Collins (no not that Chelsea one...) wrote an article about me, my passions, my blog and why I do what I do! It really is a truly wonderful piece, so positive and lovely I really couldn't have hoped for anything more. There's always a niggle in my mind when I speak to journalists that they may twist my words or put a negative spin on what I do but Gemma didn't do this at all, she took everything I told her and told it as it is. 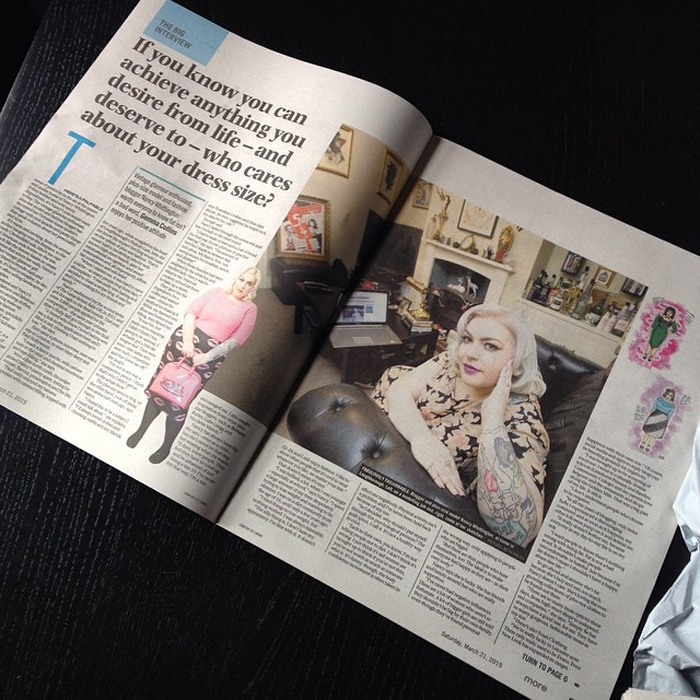 I really am so grateful to her for asking me to do this and I'm so so proud, it would really mean a lot to me if you would read the article for yourself as I think it says so much about me, my attitude to life and my little part in the plus size community. Along with speaking to lovely Gemma I had the pleasure of having Beth Walsh come to my house to take photos for the article. Beth was so lovely and oh my gosh, I really think her photos are some of the best pro pics I've ever had done. 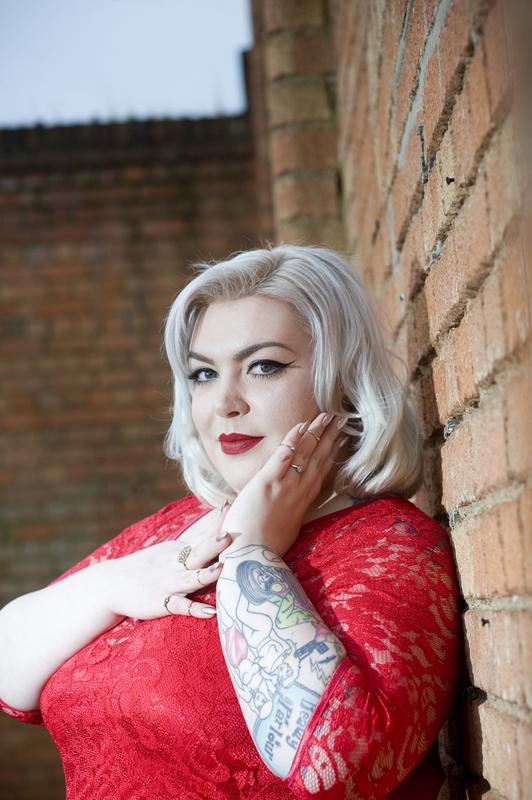 I really hope I can work with Beth again in the future and I'd highly recommend her to anyone who's looking for a wonderful photographer in the East Midlands area. 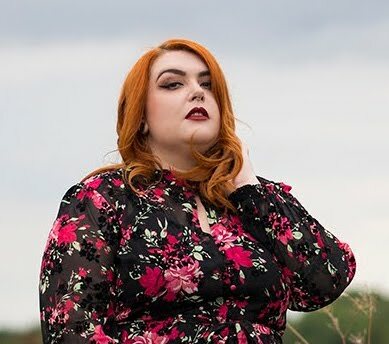 You can find Beth on Twitter here or to see more of her wonderful photos head here to her Flickr page!